Suraj Steelmet is a renowned destination for all piping solutions. 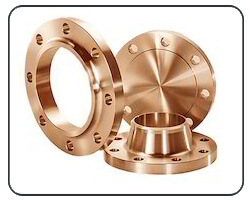 We have been flourishing various application sectors as Flanges Exporter. Flanges are the designs that are used in connecting pipe sections or any other machinery that demands intermediate connecting pipe. In short, they act as a bridge between two pipes pieces. This signifies how much important it is to land on highly precise and well-threaded products. We at Suraj Steelmet are the experts with years of experience into this field. Owing to the accurate profile and high performance we have marked our name as one of the best Indian flanges exporter. We are doing great in both national and international markets with the help of our dedicated teams. We have enlisted wide offerings for our current and rising potential customers. 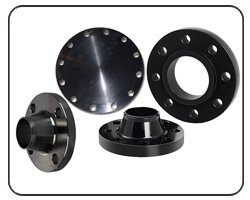 Apart from standard flanges, we undertake specially customised designs as per requirements. With the changing market we change our export approach to serve the best. Flanges we offer are of top-notch quality as each and every step has been taken care by extremely experienced and trained professionals. We are supplying & exporting a vast range of stainless & Duplex steel flanges. Highly qualified and creative engineers and professionals help us achieve our goals. They emphasise the needs so that the exporting can be dedicated to the industrial needs. ASTM / ASME SA 182 F 44, F 45, F51, F 53, F 55, F 60, F 61, UNS S31803, S32205, S32550, S31254, S32750, S32760. We are very sincere about our clients’ satisfaction so supply flanges according to the stated specifications and requirements. Carbon steel is the blend of carbon and iron which gives it the hardness required to handle huge pressure. Carbon and alloy steel products from our exportingare amongst highly recognised ones. They contribute in the success of the system they are used in. We combine the outstanding carbon and alloy steel properties to deliver highly efficient product. Dedicated hard work and team spirit supported us to grow consistently and prove ourselves in the steel market. Our divisions are equipped with modern facilities that result in long term value supply. We guarantee stable working of our nickel and copper alloy flanges in extreme hot and cold environments. Our products are sustainable and productive for a better growth. We use the perfect nickel and copper alloy leading to durable components. We would be happy to give you upfront details. So, state your demands and extract the best out of us.